Join the brand new bubble shooting frenzy! Shoot, pop and blast all the colorful bubble balls in this incredibly addictive puzzle game. 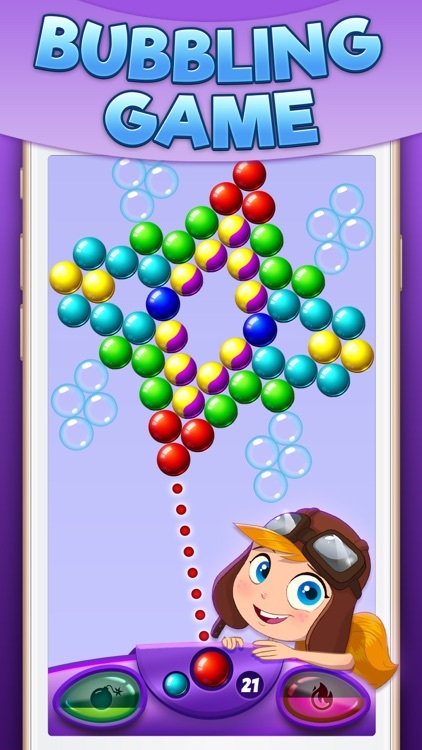 Download and play this addictive free bubble shooter, and enjoy hundreds of exciting bubble shooting levels filled with amazing puzzles and challenges. Boost your gaming experience with great power-ups: the bomb and the fireball will take out surrounding bubbles and cut through a safe pass. Use these powerful boosters to hit and blast the bubbles and advance through the game. 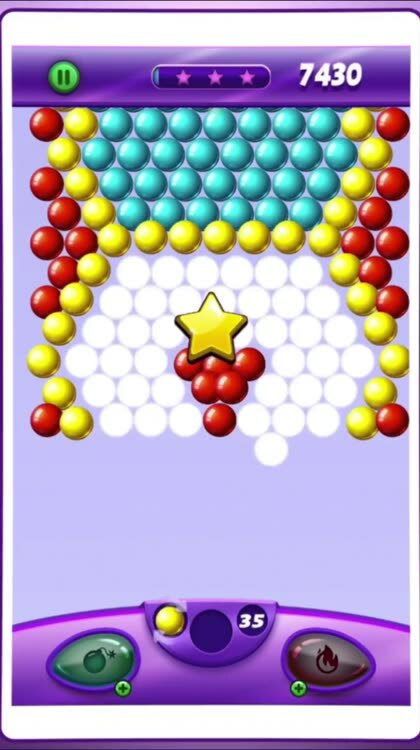 In this classic bubble game you should put into use your logic and matching skills to pop bubbles and clear the board. 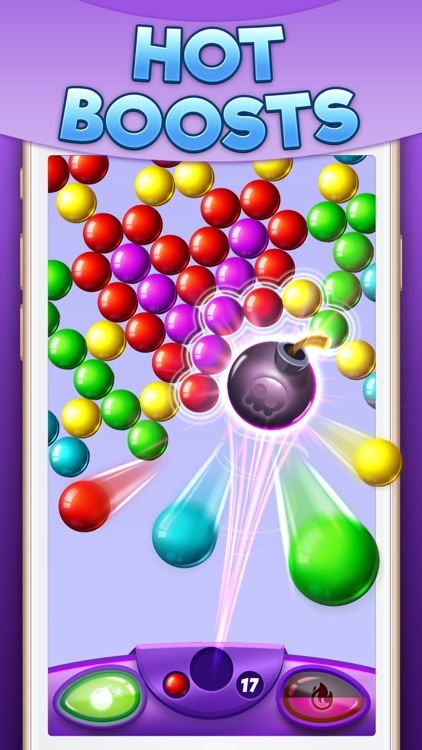 Don’t miss out the crazy bubble popping fun, compete against friends and family, and see who can reach the highest score and get 3 stars on every level. 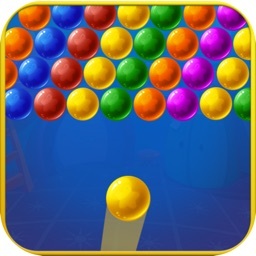 Match 3 bubbles or more of the same color to pop, collect coins and solve the bubble puzzles. Get ready to chill and experience a classic and addictive game suitable for all ages. Join the bubble fever today! * Hundreds of challenging levels. 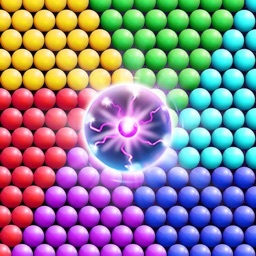 * Clear obstacles and solve the puzzles to complete the levels. * An exciting and highly addicting adventure. * Amazing graphics and cool visual effects. * A smooth and exciting game mode. * Chill and play with your family and friends! * Easy to pick up and play online or offline - no WiFi required! * Form a group of 3 or more bubbles of the same color to pop the combination and clear the board. * Beat the levels to advance along the map. * Make sure to plan your moves ahead - You only have a limited number of shots to clear a level! * Pop 7 bubbles in a row to unlock the fireball that will burn every bubble on the way. * Drop 10+ bubbles at once to get a bomb that will take out surrounding bubbles. 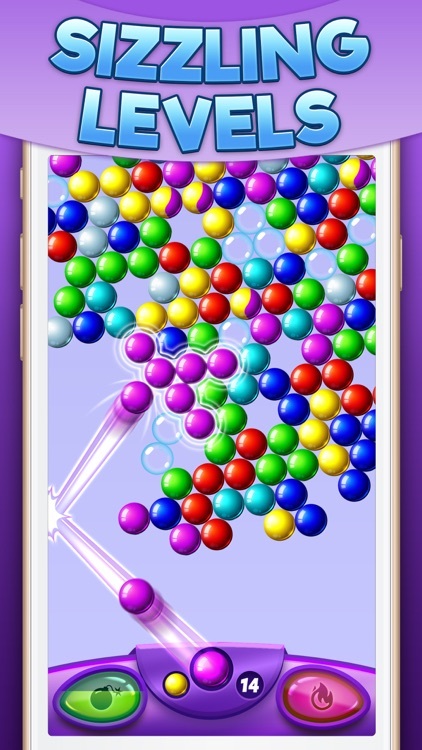 Download for FREE Bubble Drop Fever today, and experience hundreds of challenging levels to beat, and great puzzles to explore. 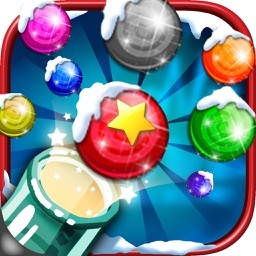 Play this addicting game today, and be prepared to take part of the bubble shooting fever! 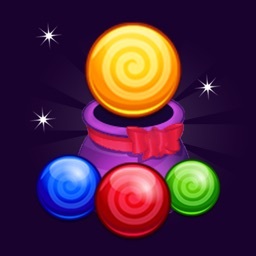 Pop the colorful and bright bubbles, and earn amazing boosters and power ups to win levels and clear the board. Win enough points to earn at least one star, and complete the missions to become the winner. Join the adventure today and get ready for some bubble shooting fun! 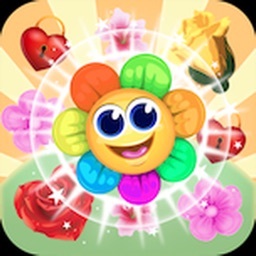 Play Bubble Drop Fever and enjoy hundreds of challenging levels to satisfy your itch for fun puzzles. Turn up the heat, warm up your fingers, and get ready to show some quick matching skills. Manage your time, plan ahead, and clear all the bubbles to overcome the obstacles. 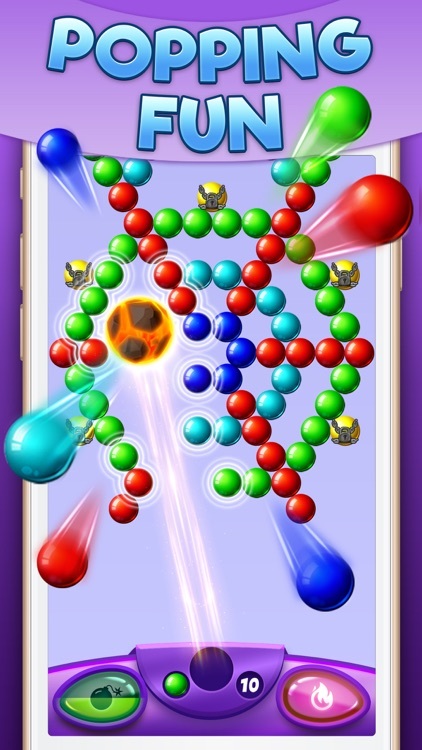 Download and play the super awesome and addictive Bubble Drop Fever bubble shooter, and discover serious bubble shooting fun. Get ready to feel the excitement! 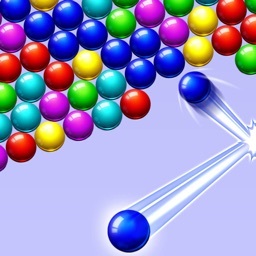 A new bubble popping game is now ready to download to your iOS device! Experience beautiful graphics and a smooth gameplay - it’s endless hours of fun! 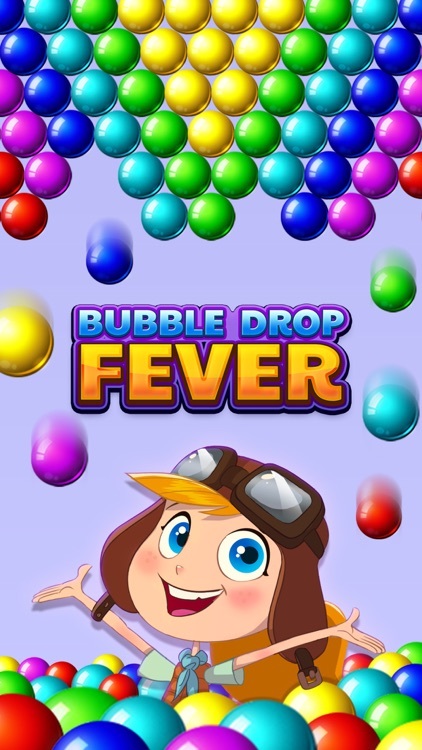 Bubble Drop Fever is completely free to play but some optional in-game items will require payment.